Built a USB PIC microcontroller programmer, the usbpicprog. 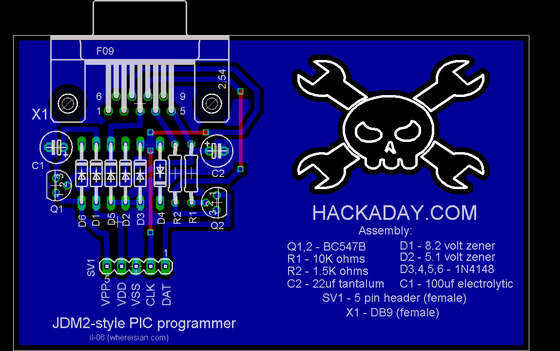 I used Marcelo Maggi’s version with daughter boards for the USB and ZIF. 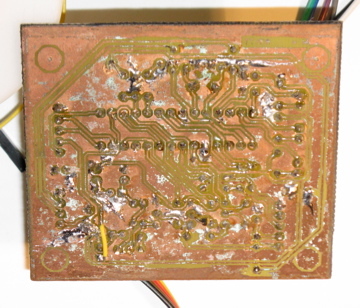 The boards had some narrow traces–I had two small defects after eteching, and lost a few more pads soldering the components on. Small wires fixed things up and it worked first time. Then open the firmware .hex and burn it. The program said it completed OK. Then quit the program, remove the USB cord, and add a second jumper on the self programming header from the Clk pin to Gnd. After this it I connected my PIC18F46K20 to the ICSP header (on a breadboard), plugged in the USB cable, and ran usbpicprog again. I opened my .hex and burned it. It said the code burned OK but gave an error for the configuration bits (like I was getting from the JDM programmers). Then I tried erasing it followed by running blank check. Both of these completed OK. I re-burned my program, and this time it worked! Configuration bits were programmed and verified! So far I’ve only finished the main board. I made the USB board but haven’t populated it yet. I intend this mainly for ICSP programming, so I haven’t decided on whether to make the ZIF board. I do need to make an enclosure. You can see some of the trace repairs. 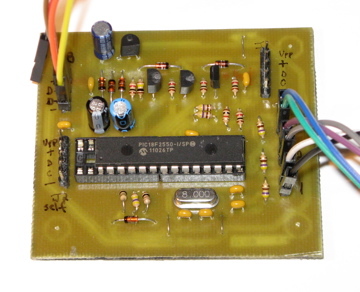 Here’s a JDM programmer for PIC microprocessors that works for me. 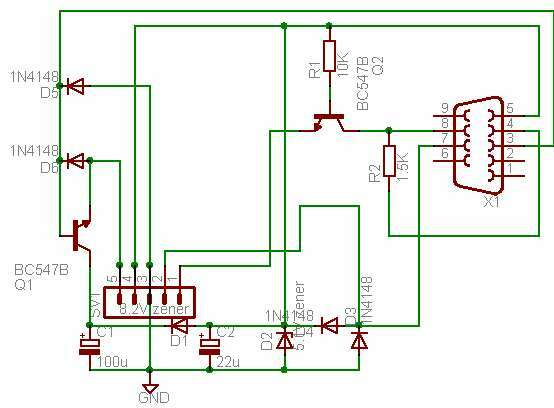 I used it to put the bootloader on a usbpicprog PIC programmer I am building. It also programmed my PIC18F46K20. It worked with picpgm and picprog on Linux. Picprog still gave me config bit errors. 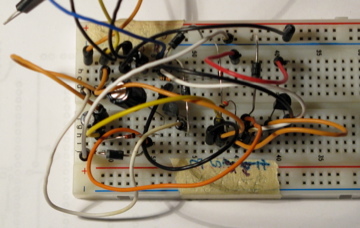 I have tried other JDM programmers–simpler ones using no transistors like Simple JDM programmer (though with not-quite-right zeners). It worked intermittently for a while, then stopped working altogether on my PIC18F46K20. Here’s a JDM programmer that usbpicprog recommends. I haven’t tried it.